AtmoTrack is the first environmental monitoring device in urban areas. Based on a network of sensors that can be installed on all types of vehicles, AtmoTrack provides data on air quality and noise levels, road by road and in real time, thus allowing local authorities to take more precise action on the origin of pollution. The result of several years of scientific research and development, backed by the French Ministry of the Environment and the ADEME, the AtmoTrack solution was developed by 42 Factory, a Nantes start-up run by industrial designer Valentin Gauffre and computer engineer Romain Scimia. Already available on the market, the AtmoTrack solution allows users to monitor and analyse the air quality of an industrial site, a district or a city, for example. It helps users to quickly understand where pollution is coming from and what its impacts are on health. It is a tool that optimises the actions taken to improve the quality of life of city dwellers. AtmoTrack is designed for local councils and smart city, healthcare and environmental players. The start-up plans to cover all major cities with over 100,000 inhabitants and 3,000 towns throughout France. At the international level, it began rollout in China in the second half of 2018. ● AtmoTrack sensors received the GreenTech Verte Award in 2016. ● In September 2017, following their selection for French IoT, AtmoTrack won the Digital InPulse Award led by multinational HUAWEI, boosting its growth in Asia. ● AtmoTrack was at CES 2018 at La Poste’s French IoT stand at Eureka Park. ● Le Groupe La Poste was rewarded by PostEurop for its initiative ‘AtmoTrack: environmental quality monitoring’. The detachable sensor can be installed on any type of vehicle. Here, on a postal utility vehicle. 42 Factory enjoys support from the French IoT accelerator programme. 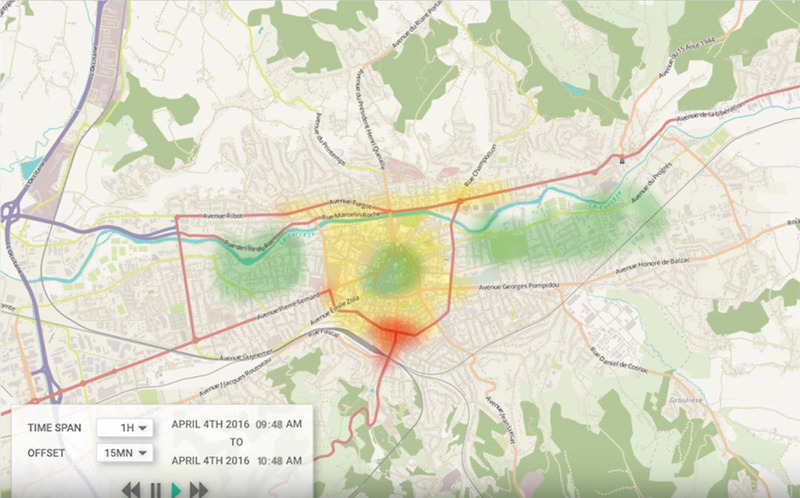 Its solution, which gathers data from hundreds of atmospheric and acoustic sensors, uses the IoT interconnectivity of the Digital Hub rolled out by Docapost, a subsidiary of La Poste, and synergies with Geoptis. 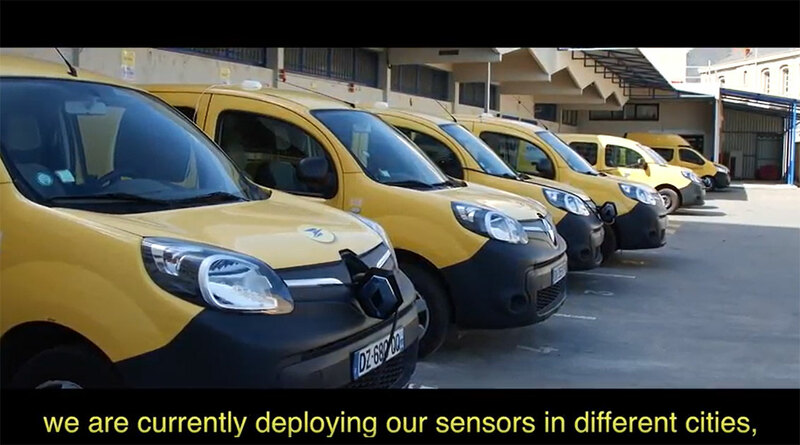 AtmoTrack is in test at Nantes and Lyon, with sensors installed on postmen electric vehicles. La Poste is proud to be associated with AtmoTrack. Air pollution is an environmental emergency. By combining our vast postal network with a solution based on sensors and environmental quality monitoring, we can pull together for better city life. Olivier Vallet, CEO of Docapost, and Romain Scimia, co-founder of 42 Factory, speak about the partnership between the two companies.